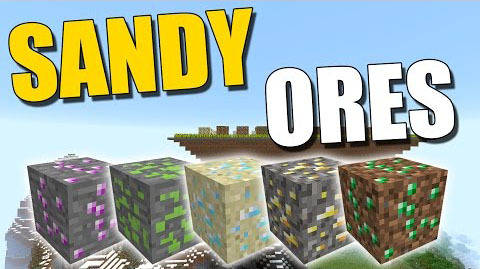 Sandy Ores Mod introduces you about ore generation in sand gravel or dirt. 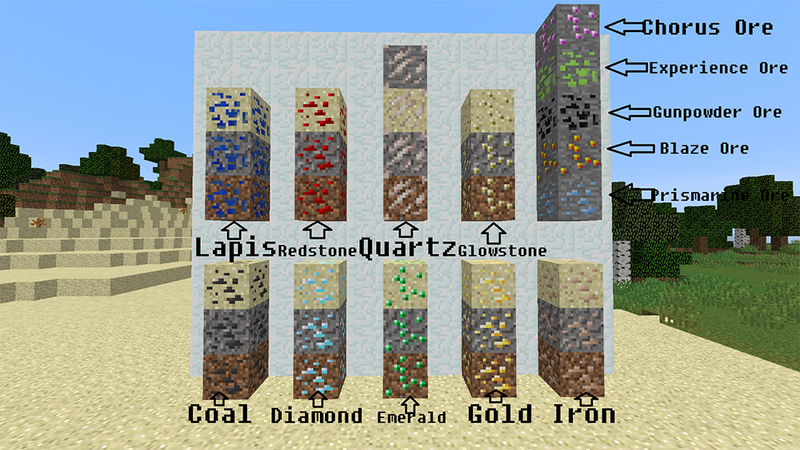 There are some new ores like glowstone ore quartzore in all over the world, prismarine ore, flamed ore, gunpowder ore and chorus ore. Do you feel excited about different kinds of ores? Let’s try with us!